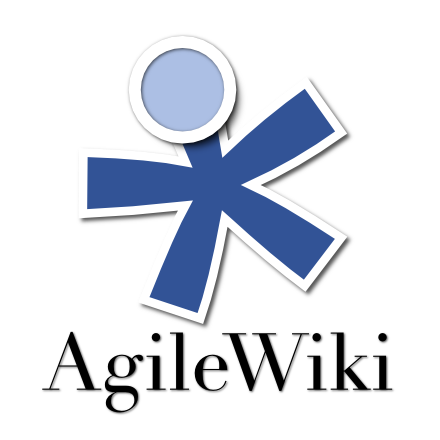 We're excited to announce AgileWiki, a publicly editable encyclopedia of the subsurface, especially for the energy industry. You are unlikely to find how-to's on seismic interpretation in Wikipedia, or tutorials on basic concepts in Schlumberger's glossary, but this is exactly the sort of thing you'll find in AgileWiki. 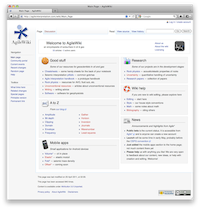 We don't want to give the impression that AgileWiki is finished, or even very useful yet — it's very much early days and it has a long way to go. This is the Agile way: release early and update often. We think doing things like this in public is the best way to ensure it is relevant and useful. Evan and I are using the wiki already, so it is already growing organically. As a way to share notes: next time you want to share something of general interest and email doesn't quite suit, feel free to document it in the wiki and simply send a URL. As a personal and open notebook: You can store anything you want on your User page, which is automatically created when you create your account. 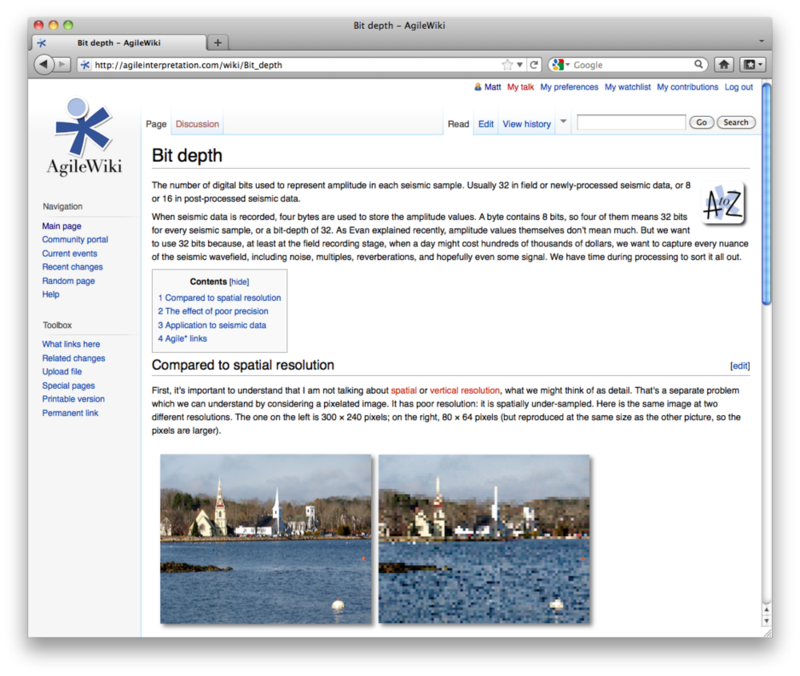 As a source for non-proprietary content for an in-house or corporate wiki. Feel free to push generic content of your own back to us! If you're not ready to jump into editing just yet but you'd like to see how this experiment can help you, why not try requesting an article? We're not promising to deliver overnight, but we want to help create content you want. So make a wish-list and let us know about it, on the wiki or in the comments below. Last thing: please consider the ownership and possible confidentiality of whatever you want to share. By putting your material in the wiki, you agree to share it with others under the terms of its license.